Three rare geoemydid turtles described from Chinese trade specimens in the early 1990s, Ocadia glyphistoma, O. philippeni, and Sacalia pseudocellata, are suspected to be hybrids because they are known only from their original descriptions and because they have morphologies intermediate between other, better-known species. We cloned the alleles of a bi-parentally inherited nuclear intron from samples of these three species. The two aligned parental alleles of O. glyphistoma, O. philippeni, and S. pseudocellata have 5–11.5 times more heterozygous positions than do 13 other geoemydid species. Phylogenetic analysis shows that the two alleles from each turtle are strongly paraphyletic, but correctly match sequences of other species that were hypothesized from morphology to be their parental species. We conclude that these rare turtles represent recent hybrids rather than valid species. Specifically, “O. glyphistoma” is a hybrid of Mauremys sinensis and M.␣cf. annamensis, “O.␣philippeni” is a hybrid of M. sinensis and Cuora trifasciata, and “S. pseudocellata” is a hybrid of C. trifasciata and S. quadriocellata. 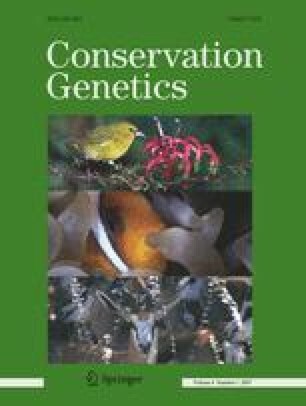 Conservation resources are better directed toward finding and protecting populations of other rare Southeast Asian turtles that do represent distinct evolutionary lineages. Philip Q. Spinks and H. Bradley Shaffer of the University of California, Davis made this study possible by loaning blood samples of O. glyphistoma, O. philippeni, and S. pseudocellata. Robert W. Murphy of the Royal Ontario Museum, and Uwe Fritz of the Staatliches Museum für Tierkunde, Dresden loaned tissue samples of additional taxa. Harold Voris, Alan Resetar, and Jamie Ladonski facilitated the use of tissues deposited at the Field Museum. Sequencing was conducted in the The Field Museum’s Pritzker Laboratory for Molecular Systematics and Evolution operated with support from the Pritzker Foundation. Erin Sackett assisted with cloning. Richard Banks and Roy W. McDiarmid granted permission to reproduce figures from the Proceedings of the Biological Society of Washington. This research is LBNL-59607 and was performed under the auspices of the U.S. Department of Energy’s Office of Biological and Environmental Research and by the University of California, Lawrence Berkeley National Laboratory under Contract No. DE-AC02-05CH11231. This research is also University of California Museum of Paleontology Contribution # 1920. This research was supported by a National Science Foundation postdoctoral fellowship to JFP. Philip Q. Spinks and two anonymous reviewers critiqued the manuscript.